In the 1990s I held a stressful job at Sierra On-Line. Sierra doesn’t exist today, but in the 1970s they were one of the pioneers in computer games. By 1995, when I joined the company, computer games were vacuuming up as much money as movies. Computer games had also attracted Hollywood-size egos and dysfunctional people who would’ve been dysfunctional in other cultures, too, even if those cultures existed on other planets. Sierra in my experience adhered strictly to the Pirate Ship Business Model: Every day, somebody walked the plank. I never knew when I might be commended in an email or gutted with a harpoon. You could almost have predicted this next statement: Sierra is also the place where I did the best creative work of my corporate career. In those years, I used whatever I could to maintain my emotional even keel. One refuge was music. At some point in my tenure, I was browsing at Tower Records when today’s disc spoke to me. It jumped on my shoulder and whispered seductively: “Buy me! I’ll keep your blood pressure under control!” Reader, I bought it. It helped. The lineup looks promising on paper. Mozart, Handel, J.S. Bach, and Chopin will be familiar to all my readers, even the guy who claims that “Aqualung” is the pinnacle of musical achievement. The producers even included up to one (1) woman, Tekla Bądarzewska-Baranowska. A male/female ratio of 15:1 seems equitable. A surplus of talent does not guarantee success. Just ask the 1969 Chicago Cubs. The adagios on The Little Record of Calm seem too slow to be adagios. They are more like “largos,” which, as their name suggests, are made with lard. For example, Albinoni’s Adagio in G Minor is the music they play in the movies when the train leaves the station and the lovers are separated or when they stay together but go over the falls, all of it in excruciating slo-mo. Mascagni’s Intermezzo is the part where the orchestra stalls for time while you run to Il Ristoro for more popcorn. The sound level goes up and down to entice you into returning – sort of like the way you get a dog to come to you by making yourself seem more interesting than you actually are. Nothing says love like Edward Elgar. His “Salut d’Amour” (“Greetings Love”) may have inspired The Everly Fratelli’s “Arrivederci d’Amour” (“Bye Bye Love”), but it could never inspire physical contact. C.W. Gluck’s “Dance of the Blessed Spirits” is strikingly similar to his descendant’s “Convoy,” not counting about a thousand screaming trucks. Bach’s Air from Suite No. 3 is beautiful, but in this crowd Bach is the International Space Station losing the fight against Earth’s gravity. The most interesting composer here is Ms. Bądarzewska-Baranowska. Her contribution, “A Maiden’s Prayer,” is not interesting. What makes Bądarzewska-Baranowska interesting is that in her very short life, and despite being burdened by five kids and a 22-character last name, she composed anything at all. It doesn’t matter that “A Maiden’s Prayer” is the next step up from “Chopsticks.” She wrote it and that’s what counts. But count me out on another listen. The Little Record of Calm glides to a landing on a puffy cloud with Johann “Wedding Bells” Pachelbel. Pachelbel’s the kind of guy who knows how to bring a record like this home: by tucking us in. I mention this record now because I’ve just finished my first week on a new job, which I like very much. In this first week I enjoyed two free lunches, traded dog pictures with my fellow writer on the staff, pulled the company out of a jam a dozen times with my epic writing skills , and on Friday the CEO sent us home early to enjoy the long holiday weekend. The people are friendly, passionate about their cause, and many of them know how to cook. You know what I don’t need here? The Little Record of Calm. High five. Two Canadian boyos, Dave and P-Thugg, have lots of electronic fun with material that you’d swear came straight outta the 1970s and ’80s. The most danceable number is “Woman Friend.” The vocal could’ve been by Constantine, the evil Russian who passed himself off as Kermit in Muppets: Most Wanted. The lyrics to these songs are dope – I mean, the lyrics were written by dopes – and by the 11th and final track I’d had it. She’s in Control will wear out its welcome soon enough. But this at times very funny disc is worth a listen. Roots rock from the Midwestern band that gave us “Closer to Free,” the theme to Party of Five. “Closer to Free” is fun, but “Fadeaway” is a much better song. Neither are on Black and White. This is pleasant road-trip music, but you can tell that The BoDeans would like to grow up to be something tougher and darker, like Big Head Todd & The Monsters. Instead they may be a gateway drug to Bon Jovi. Listener discretion is advised. Did you write your Chess tutorial/game for Sierra On-Line, Steve? I wondering if you own the rights because you might consider a port to iPad and/or Android. Sound like plank-walking or keel-hauling is not as prevalent in your current job – Drink up me hearties, yo ho. That’s Power Chess! You could play in 2D or 3D, using the standard Staunton pieces or other sets based on historical models. 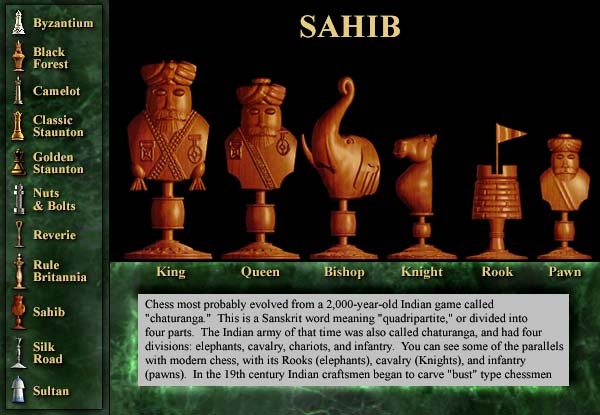 I wrote a history of chess and a history of all the chess pieces. Power Chess’ talking tutor. Somebody has posted one of their games and the Queen’s commentary, but they removed all the silences between sentences! She sounds like one of those bores who pin you down at parties and never takes a breath. Anyway, if you listen to the first minute, you’ll hear the conversational, rather than professorial, tone we were striving for. This game was a smash in Germany and Italy — I received royalties! Oh, those were the days. I played chess for months and a year later collected several large checks. You’re goddamn right, high five! If I had to listen to The Little Record of Calm, I would become a homicidal maniac. Let’s have a ritual burning.